Welcome to 5th Grade Humanities! This year, we will investigate where we are in the world and why it matters; who we are as defined by the stories we tell about ourselves; and how we, as members of communities both local and global, make a difference. 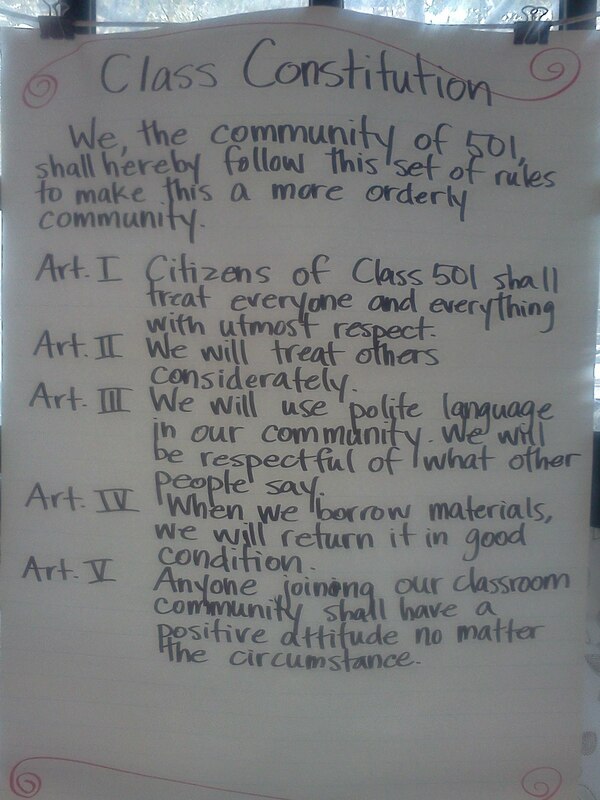 We started by writing a Class Constitution.